When you have your first child, your world changes in an instant. Although this has been at least nine months in the making, it feels like you suddenly have a new purpose. You have to keep a tiny human alive. But as your child grows and becomes more independent, you realize that your job is so much more than that. You have to set good examples and provide emotional support. And you also have to take good care of yourself, so you can be around to do this for the next 20 years or more. The last one is the most difficult for many moms because we spend so much time taking care of others. But if you need some inspiration, remember that taking care of yourself is crucial if you want to take care of anyone else. When you take care of yourself, your child benefits. Here’s how. Whether it’s green smoothies or just cooking more dinners at home, you’re teaching your child the importance of taking care of yourself. Children learn by example, so if you’re the type of mom who doesn’t put any focus on herself, your child is likely to do the same when it’s his or her turn. When you look good, you feel good. It’s that simple. When you eat right and exercise, your body will take on a more toned shape and your skin will be healthy and glowing. Add to this the endorphins you get from exercise and it’s easy to see how much better you’ll feel when you adopt a healthy lifestyle. In contrast, if you’re eating junk and lounging around, you probably won’t feel so great overall. Over time, this could cause you to have a short temper with the kids. 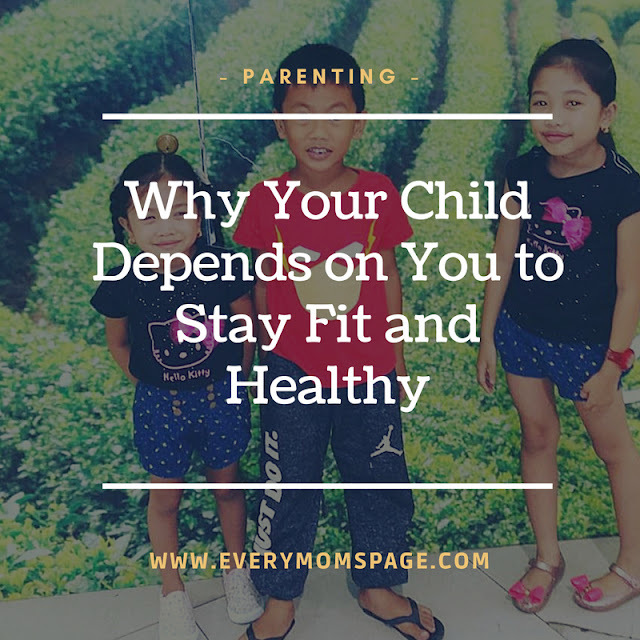 You may feel guilty about leaving them to exercise, but they’ll get a much more patient and happy mom out of the deal. It’s a win-win. If you have unhealthy habits, like binge drinking, smoking or eating too many processed foods, you may have a greater risk of developing certain types of cancers. But when you stop those bad habits and start taking better care of yourself, your risk decreases. No one wants to think about how their own death would impact their child’s life. It’s a truly scary and humbling thought. And if that’s not enough to motivate change, there may be deeper issues. If you have a habit you can’t change on your own, such as smoking or alcoholism, get help. There are plenty of family resources that can help you through this time. It’s not an easy journey, by any means, but it’s one you should take sooner rather than later. Problems like these tend to get worse over time, so try to address them now. The most important thing moms can do is raise heathy and well-adjusted children. To do this, they must set a good example and plan to be around for many years. The only way to ensure these things will happen is to take good care of themselves by making healthier choices. Try to cook more meals at home and exercise for at least 30 minutes each day to stay fit and healthy for your child. Trust me, your child will thank you for it in the future.